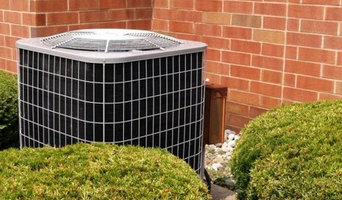 When it comes to Air Conditioning Repairs, Air Conditioning Installation and Heater Repair, no one compares to Hagerman Services. With years of combined experience, Hagerman Services has worked hard to build the trust of our clients in New Orleans, Metairie and Gretna and beyond. Visit our website to learn more. Or better yet, click the link and call us today! Striving to be the best heating and air conditioning company in New Orleans by offering quality service at reasonable prices, free estimates for replacement systems and design services for your new construction home or business. Serving Greater New Orleans, the North Shore and the Westbank, Surgi's is never more than a phone call away for service of any brand of equipment. Call 469-4232 or 985-624-9333. 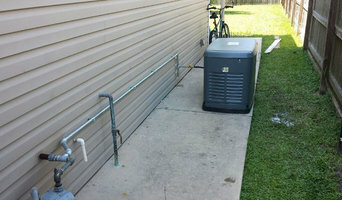 We offer air conditioning and electrical repair services in Metairie, LA area! We work with all major brands including GE, Maytag, Frigidaire, Kitchenaid, Carrier, Lenox, Train, American Standard. Call us at (504) 229-0775 for more information. Help Air Conditioning & Heating has been servicing the greater New Orleans area since 1968. Family owned and run. Since 1937, Bienvenu Brothers has been providing optimal plumbing and HVAC services to the greater Metairie area. For prompt, courteous service and fair prices, call us today. When you have commercial or residential work that needs to be done quickly and with an eye for quality, look no further than Best Services of Louisiana, LLC.. We have the most highly-trained, industry-certified master employees with years of experience working for both commercial and residential clients. Although we may not always need air conditioning with our British summers, an air conditioning installation specialist will be able to install climate control systems in your home that can adjust your whole house’s temperature with a few pushes of a button. So even if we do have a midsummer heat wave, you’ll be able to keep your home refreshingly cool with New Orleans, LA air conditioning services. For most homeowners, your central heating will be a typical gas or combi boiler and radiators set up, and you can find heating and gas engineers for boiler maintenance in New Orleans, LA near you, with Houzz. But even if you already have your whole heating system set up, you can still use New Orleans, LA heating engineers to install new radiators for you – you don’t have to stick with plain white panel radiators. Talk to a radiator company to discuss towel radiators, radiator covers, vertical radiators or cast iron radiators to bring a bit of style to your heating installations. If you’re building a new home or completely renovating a house, then it’s your chance to hire New Orleans, LA heating and home air conditioning installation services to put in place your ideal climate control system. Underfloor heating is no longer a luxury reserved for the privileged few; with electric underfloor heating mats it’s simple and easy to install these days and you’ll easily find lots of underfloor heating installation services on Houzz. If you really can’t stand the heat in the summer, New Orleans, LA air conditioning companies can install systems that will keep your home cool and crisp throughout the summer. You can choose New Orleans, LA air conditioning services that will install individual units for individual rooms, perhaps you only want them in your bedrooms, or air conditioning companies that can implement systems for your whole house. Energy efficient homes are becoming more and more popular as we all try to become more eco friendly, and one of the best ways to save energy is insulating your house. Heating engineers in New Orleans, LA will be able to advise you on the best way to insulate your home and the most efficient method of heating it. There are also now many digital thermostats that can be controlled remotely, so you can turn your heating off and on at the appropriate time without wasting energy when no one’s home. With a climate controlled house, you’ll also be able to only heat or cool certain rooms when necessary, stopping energy being wasted on rooms that are used less frequently. Even if your New Orleans, LA heating and air conditioning engineer cannot advise you on insulation or energy efficiency, they may be able to put you in touch with someone that can, and even be able to recommend other contractors for related air conditioning services and heating jobs. It’s likely that you’ll be able to find photos of their previous projects, reviews and ratings from clients, right here on Houzz. Here are some related professionals and vendors to complement the work of heating & air conditioning: Specialist Contractors, Main Contractors, Solar Energy Installation, Electricians. Find HVAC contractors on Houzz. Look in the Professionals section of our website and search for New Orleans, LA heating and air conditioning engineers. Read reviews and see previous air conditioning installations and heating installation projects.